On this upcoming annual day of your office, when you are confused about the gifting part, we are here to relieve your tension. 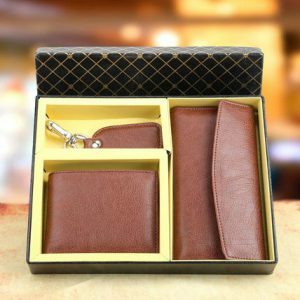 A box of wallets with a key chain is a useful idea of a gift to be showered on people with whom you work daily. The material is leather and therefore the longevity of use is assured.